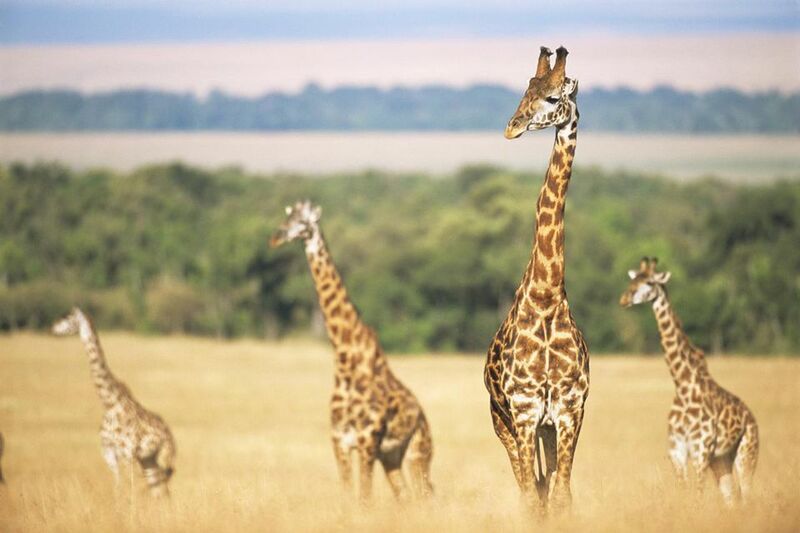 Going on a family safari will be one of the most rewarding and exciting vacations you'll ever take. However, traveling on a shoestring is more difficult when you have kids in tow and as such, your African adventure is unlikely to be cheap. Because of this, it's something you may only do once - so choosing the best destination and itinerary possible is important. In this article, we take a look at Africa's most family-friendly countries along with itineraries and lodges that cater specifically to children. The first step to planning any safari is deciding where you want to go. If you're traveling with children, there are several things you need to consider. Safety is always the top priority for parents, so a politically stable country with access to decent medical care in case of an emergency is a good idea. The fewer vaccinations required the better, while malaria-free destinations win top marks for obvious reasons. Cost is another factor when you have more people to pay for, so choose a country with reasonable accommodation and tour prices. Destinations that lend themselves well to self-drive safaris are another great choice for families on a budget and give you the benefit of being flexible with your travel plans. For all of these reasons, we recommend Southern African nations like South Africa, Namibia and Botswana over the iconic safari destinations of East Africa. With its first world infrastructure and world-class national parks, South Africa is the obvious choice for a family safari. There are game-viewing destinations for every budget, ranging from exclusive private reserves like Shamwari and Ulusaba to national parks like Kruger and Addo. The latter are a great option for families on a budget, as they allow self-driving and offer affordable accommodation in the form of campsites and self-catering chalets. Self-driving is an excellent option for families, giving you the flexibility to stop whenever you like, cut game drives short if your kids get tired and deal with tantrums without worrying about other guests. South Africa is made for independent exploration, with good roads and car rental services in every big city. Many South African game parks are malaria-free and you don't have to worry about other tropical diseases like yellow fever or Zika virus. Finally, there's more to South Africa than its incredible game reserves. If a full two weeks of wildlife-viewing sounds like a stretch for your kids, there are countless other activities for children. Consider township tours in Joburg, breathtaking Cape Town beaches, whale-watching off Hermanus or ostrich-riding and caving trips near Oudtshoorn. Namibia offers many of the same benefits as South Africa. With the Namibian dollar pegged to the South African rand, you can expect to pay similarly low prices for accommodation, park fees, fuel and day-to-day living. Though they're often gravel instead of tarmac, the roads are exceptionally well-maintained and many travelers claim that they feel safer in Namibia than anywhere else on the continent. Much of the country is malaria-free (except for the magnificent Caprivi Strip). Namibia's most famous national park, Etosha, is one of the best wildlife-viewing destinations in Southern Africa with almost guaranteed rhino sightings. In between game drives, there are plenty of other attractions to keep kids interested, from dune surfing in the Namib Desert to visiting traditional Himba villages and exploring Sossusvlei's otherworldly landscapes. Bear in mind that Namibia is a huge country and kids will need to be able to cope with long journeys. Botswana is another excellent option for a family safari. It offers the perfect balance of safety and adventure, with good infrastructure, a stable government and some of the most rewarding game parks on the continent. It's probably best for families with a bigger budget, however, because it's more geared for fly-in safaris than self-drive itineraries, especially if you want to visit the Okavango Delta (and trust us, you do). You'll also need to fork out for malaria prophylactics, the most child-friendly of which are expensive. The need to take malaria medication is one reason why Botswana is suited to slightly older kids. Older kids will also be able to enjoy walking safaris and traditional canoe or mokoro trips which are two of the country's best experiences. Game parks like Chobe, Moremi, Kgalagadi and Savuti are arguably better for wildlife-viewing than those of Namibia or South Africa, but bear in mind that there are fewer alternative activities for kids that are easily bored. Unlike in the other two countries, you can't divide your time between the bush and the beach.